Our experienced team, consisting of highly qualified specialists, is equipped with the knowledge and expertise of several generations on the subject of plastics. Whether it be optimizing planning, material support, development and implementation of single and mass production or for custom products and the production of prototypes, with us you are really in safe hands. 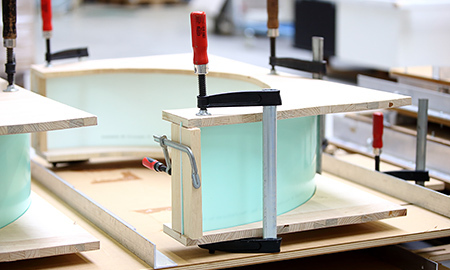 Within our production facilities, we care able to process plexiglass plates, acrylic sheets, and also Acrylic glass sheets from PLEXIGLAS®, Perspex, as Makrolon®, Lexan®, PET-G and many other transparent plastics. 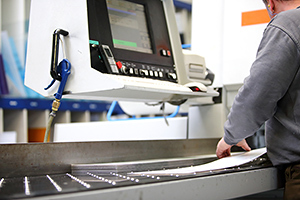 We use up-to-date computer controlled machinery for the most precise and accurate result when cutting, folding and polishing edges and surfaces. We also specialize in CNC milling, adhesion and construction of molded parts made of PLEXIGLAS®, Perspex, Makrolon® and PET-G. The high capacity of our material guarantees us sufficient amounts of PLEXIGLAS®, Perspex, Makrolon®, Lexan®, PET-G and many other transparent plastics. This enables us to always respond flexibly and promptly to your customer requests and orders. Of course, an optimal, customer-oriented consulting is our top priority. From your initial requirement analysis to the successful implementation of your project, we are pleased to offer you our entire expertise. We work in close cooperation with you to ensure your tailor-made solutions make your visions become reality. When we create our productions from high quality plastics, which can also be combined with material such as wood and metal, we offer our customers a fair, long-term price performance package. We look forward to your knowing your personal requirements. The industry is like a performance sport. From the start, you need a powerful professional team in order to achieve your end goal. 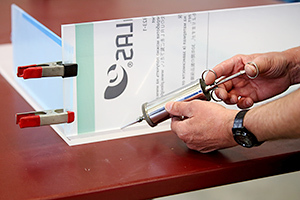 If you are looking for a motivated, as well as dedicated partner in the field of processing and plexiglass processing, BSA are the perfect choice for you. Our enthusiasm for the material itself, our high level of expertise and use of the latest technology are just a few of the premises that we possess.